Pairing lamb with bold spices makes me swoon. These lamb chops are coated in a pungent spice rub and cooked in stewed onions, roasted red peppers, and parsley. 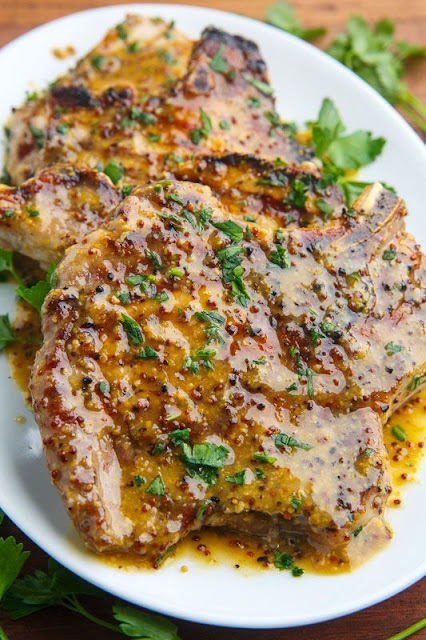 The chops pair beautifully with Simple Salad (here). 1. Grease the inside of the slow cooker with the olive oil. 2. Put the onion, red pepper, parsley, and wine into the slow cooker. to allow all the flavors of the rub to permeate the meat. Place the chops into the slow cooker on top of the onion and wine mixture. The chops may need to slightly overlap one another to fit. 4. Place the potatoes on top of the lamb. 5. Cover and cook on low for 8 hours. COOKING TIP Lamb often contains more fat than beef. To minimize the fat content of the finished recipe, trim all visible fat from the lamb and sear it in a hot skillet for 2 minutes on each side to render some of the fat and improve the flavor of the finished dish. 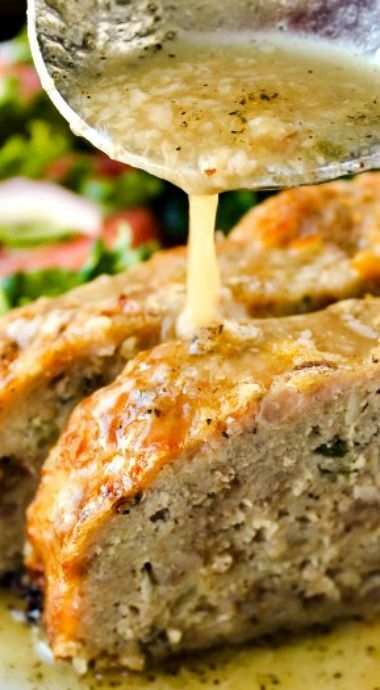 Meatloaf is one of my favorite meals to make on evenings when my husband is working and I’m home with the kids. This makes the perfect amount for me and the boys, ages 4 and 8, and I can spend the afternoon with them while the meatloaf cooks. To make this dish gluten-free, make or use gluten-free bread crumbs. 1. In a large bowl, combine the ground beef, ground turkey, bread crumbs, onion, garlic, parsley, thyme, ketchup, egg, salt, and a few grinds of the black pepper. Use your hands to mix all the ingredients together thoroughly. 2. Grease the inside of the slow cooker with the olive oil. Put the meatloaf mixture in the crock and form it into a loaf-like shape. health problems, including metabolic syndrome. One year over Christmas I was asked to make the sweet potatoes. I knew the obvious answer involved marshmallows, brown sugar, and butter. But I wanted a healthier option, and came up with these savory mashed sweet potatoes with a hint of nutmeg and orange. Even the kids love them! 1. Put the sweet potatoes, orange zest, nutmeg, and broth into the slow cooker. Gently stir together. 2. Season the pork chops with the salt and black pepper and set them on top of the sweet potatoes. 3. Cover and cook on low for 6 to 8 hours, until the sweet potatoes are completely soft and the pork is cooked through. SUBSTITUTION TIP To ensure this recipe is Allergy Friendly and Gluten-Free, use gluten-free low-sodium vegetable broth. COOKING TIP Before eating an orange, I zest the peel with a grater or zester, and then I freeze the zest in a small zip-top bag until I need it. The bright flavor of coriander and citrus-infused pork, onions, and peppers provides the perfect filling for “street” tacos. Include beans, avocado, and sour cream as garnishes if you need more energy or you are serving these tacos to guests. 2. Put the pork tenderloin in the slow cooker. 3. In a small measuring cup, whisk together the orange zest, orange juice, lime zest, lime juice, garlic, cumin, coriander, salt, and a few grinds of the black pepper. Pour this mixture over the pork. 4. Put the onion, red bell pepper, and green bell pepper in the crock, placing them around and on top of the pork. 6. Remove the pork from the slow cooker and allow the meat to rest for 10 minutes before shredding it with a fork. Return it to the slow cooker and toss it with the vegetables and juices. 7. Serve the pork in warm corn tortillas garnished with the cilantro. COOKING TIP Warm the tortillas in a dry skillet, or directly on a gas stovetop flame over low heat. Use tongs to turn each tortilla, heating for a few seconds on each side until warm and pliable. They can also be warmed in the microwave, for 10 seconds each. NUTRITION TIP Fresh cilantro, also called coriander, is one of the most widely used herbs around the globe. Fresh coriander leaves have detoxifying properties and ground coriander seed has anti-inflammatory properties. The apples and onions in this recipe cook down into a thick, comforting compote, which is served on top of the pork chops. Simple Salad (here) complements this dish well. 1. Put the apple, onion, thyme, and cinnamon in the slow cooker and stir to combine. 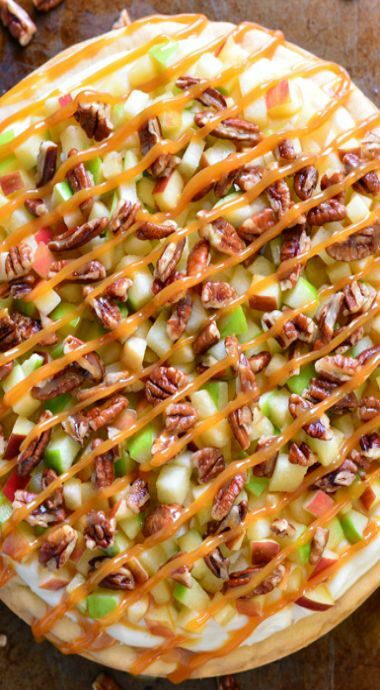 Pour in the apple cider. 2. Season the pork chops with the salt and a few grinds of the black pepper. Set the chops atop the apple and onion mixture. 3. Cover and cook on low for 6 to 8 hours, until the apples and onion are very soft and the pork is cooked through. in a skillet in just a bit of extra-virgin olive oil. The slow cooker provides a great vessel for preparing both traditional foods and those with more complex flavors. 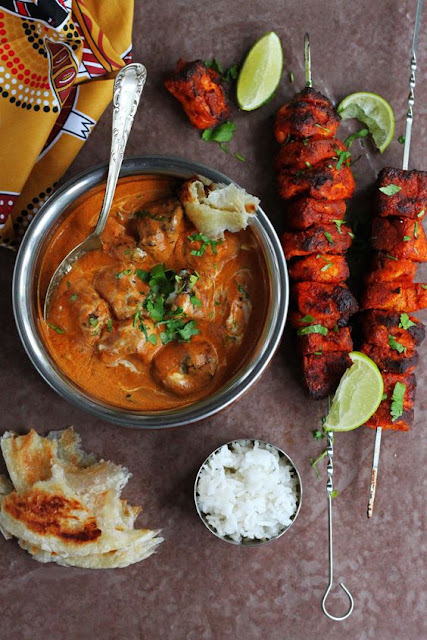 This easy tikka masala is brimming with the spices of India. 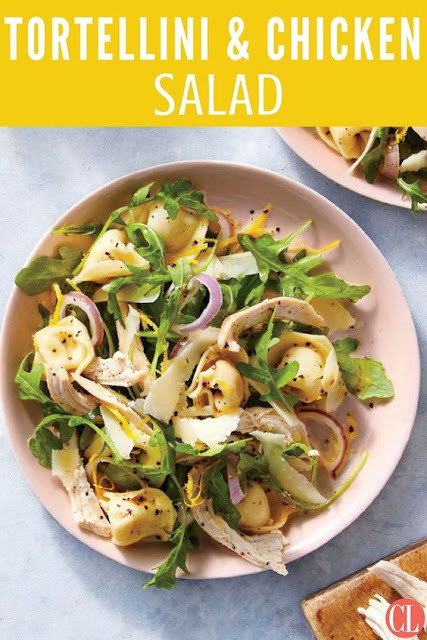 Serve with flat-bread or Simple Salad (here). 1. Put the chicken, onion, tomatoes, coriander, cumin, paprika, red pepper flakes, ginger, and chicken broth in the slow cooker. Stir to combine the ingredients. 2. Cover and cook on low for 6 hours, until the chicken is cooked through and the tomatoes and onions are soft. cream. Garnish each serving with the cilantro. 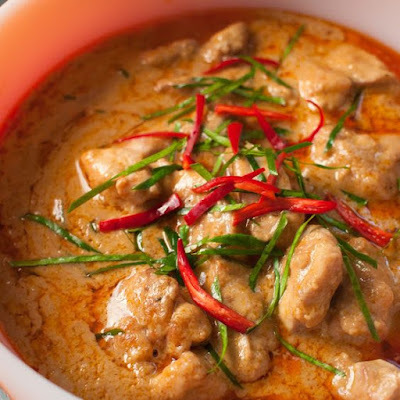 COOKING TIP The fat in heavy cream acts as a stabilizer, making the cream less likely to curdle when added to hot food. SUBSTITUTION TIP To ensure this dish is Gluten-Free, use gluten-free low-sodium chicken broth, and use the coconut cream instead of the heavy cream to make it Allergy Friendly. Seitan (pronounced say-tan) has the most similar texture to chicken of any of the vegetarian proteins. It is made with vital wheat gluten, so it is decidedly not gluten-free. The long, slow cooking time allows it to absorb all the enticing flavors in this dish. Consider serving it with Cilantro Rice Pilaf (here). 1. Put the seitan, green beans, onion, tomatoes, coriander, cumin, paprika, red pepper flakes, ginger, and vegetable broth in the slow cooker. Gently stir the ingredients together to combine. 3. Allow to the dish to rest, uncovered, for 10 minutes, then stir in the coconut cream and garnish the dish with the cilantro. flavors will taste just as good, and be sure to use gluten-free low-sodium vegetable broth. 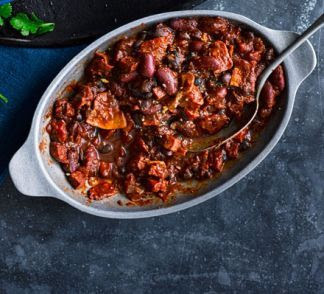 The variety of flavors and textures of mixed beans gives this chili a filling, stick-to-your-ribs quality. If you cannot find a can of mixed beans, purchase two or three cans of individual types of beans, such as kidney beans, black beans, and pinto beans. Drain and rinse the beans; leftover beans can be stored in the refrigerator for up to two days or in a sealed container in the freezer for several weeks. 1. Put all the ingredients in the slow cooker. Give them a quick stir to combine. 2. Cover and cook on low for 6 to 8 hours. COOKING TIP Some beans are sturdier than others. Soft beans such as cannellini break down quickly while firm beans such as kidneys withstand the longer cooking time. If you want the beans to retain their shape, choose the shorter cooking time. 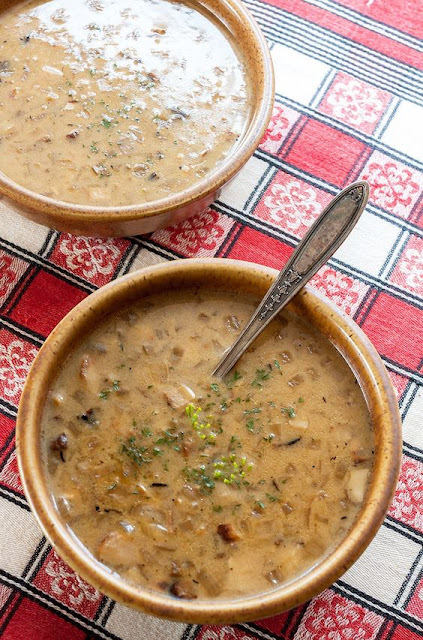 This hearty soup is perfect after a long day of outdoor winter activities. It has complex carbohydrates from the barley and satiating protein from the beef. The soup is savory and satisfying on its own or served with Whole-Grain Dinner Rolls (here). 1. Put all the ingredients in the slow cooker and stir to combine. 2. Cover and cook on low for 8 hours. The meat should be tender and the barley soft. VARIATION TIP Have additional vegetable scraps lying around? Pretty much any mild-flavored vegetable or herb will work well in this soup. Consider adding parsnips, potatoes, green beans, mushrooms, rosemary, or parsley. This spicy soup tastes even better with a handful of crunchy tortilla chips and a touch of sour cream, which is why they are included in the ingredient list. If you prefer a milder soup, reduce the red pepper flakes to just a pinch. 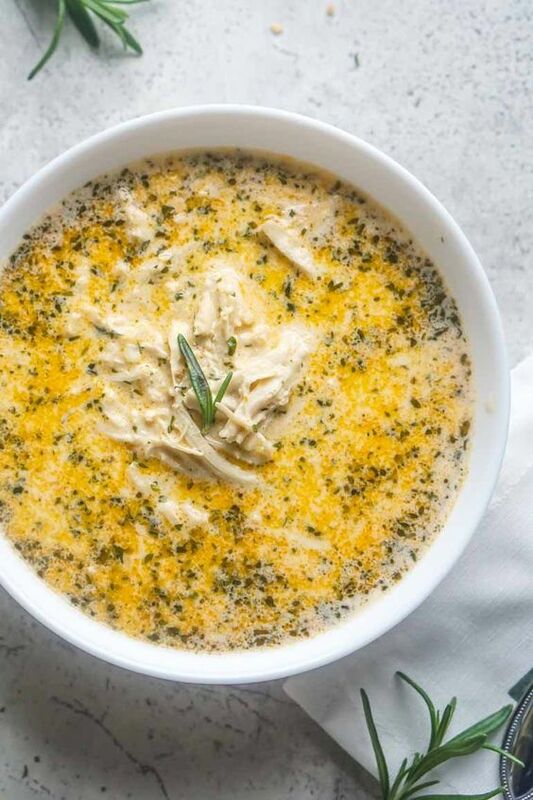 For a lower-calorie or dairy-free soup, omit the cheese. 1. Put the chicken, corn, tomatoes, beans, onions, red chili flakes, garlic, broth, cumin, and paprika in the slow cooker and stir to combine. 3. Remove the chicken to a cutting board. Stir the cheese into the soup. While the cheese melts, shred the chicken with a fork. Stir the meat back into the soup along with the cilantro and lime juice. 4. 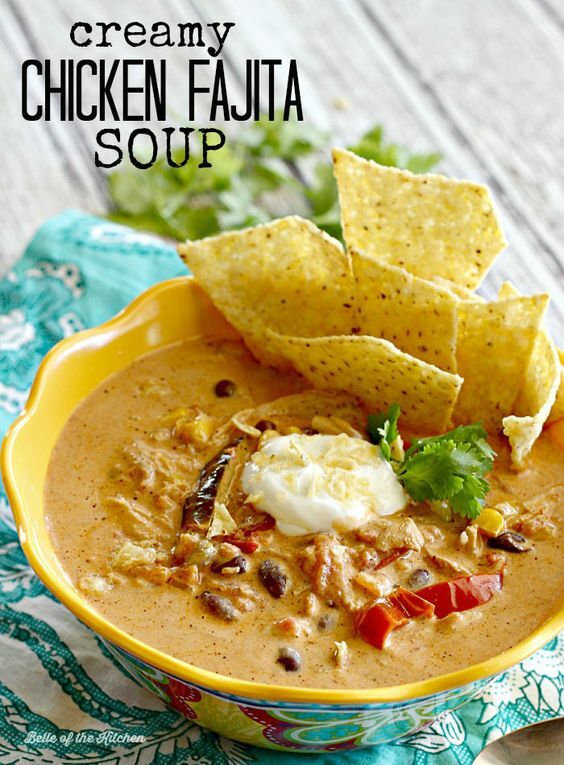 Serve the soup garnished with the tortilla chips and a dollop of sour cream. 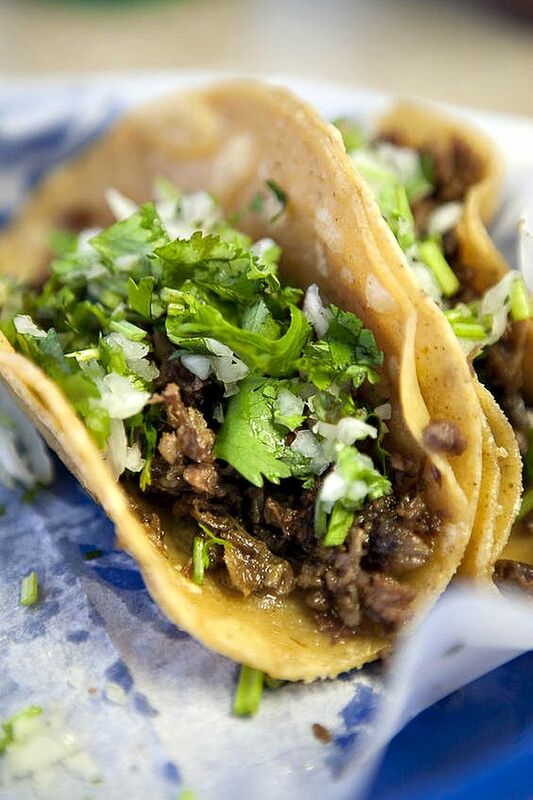 SERVING TIP Always add fresh cilantro to recipes just before serving. 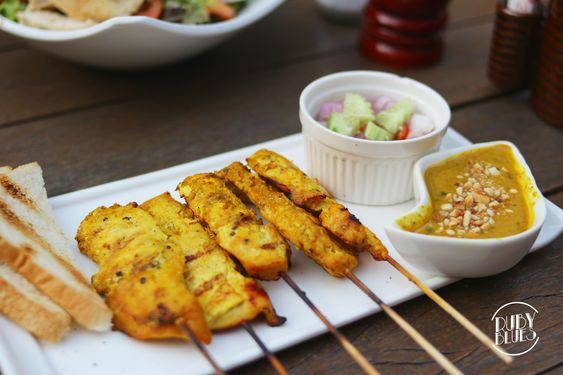 Its flavor virtually disappears when cooked for more than a few minutes. SUBSTITUTION TIP To ensure the soup is Gluten-Free, use gluten-free low-sodium chicken broth. 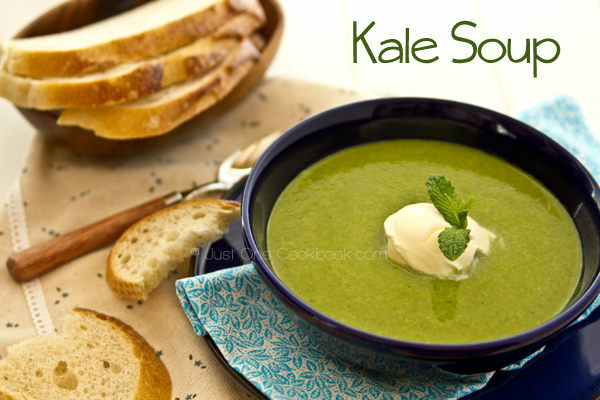 The garlic and red pepper flakes liven up the kale and the tender meat in this flavorful soup. You may be accustomed to cooking with the leaner white meat of the chicken, but the thighs add a negligible amount of fat and calories to the dish and a lot more flavor. This soup is wonderful with Whole-Grain Dinner Rolls (here). 1. Put the chicken, onion, carrots, garlic, broth, salt, red pepper flakes, and lemon zest in the slow cooker and stir to combine. 3. Stir in the lemon juice and kale just before serving. 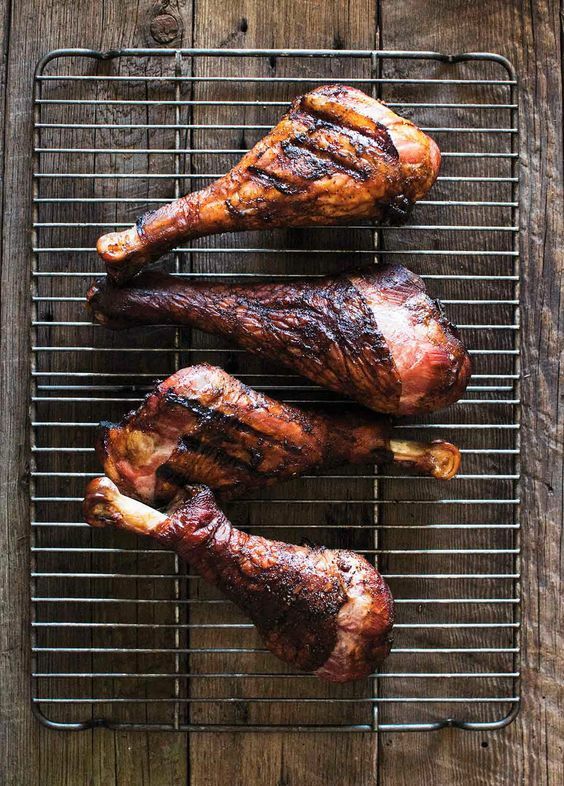 The bone helps keep the chicken moist during the long, slow cooking and imbues the broth with body and rich flavor. 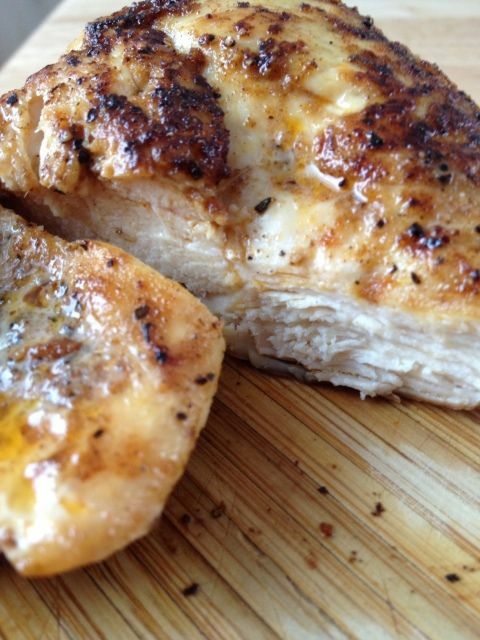 But, if you prefer the convenience, use a large boneless, skinless chicken breast instead. The aroma of this soup is warm and welcoming after a long day of work. 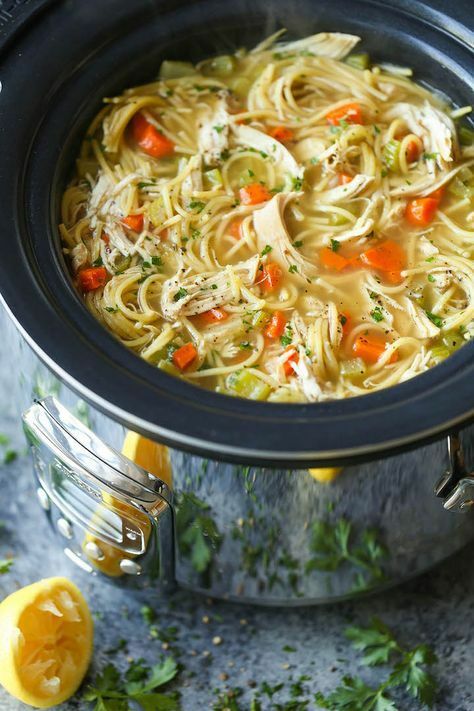 1 bone-in chicken breast, skin removed, about 8 to 12 ounces 1 cup diced carrots 1 cup diced celery 3 garlic cloves, minced 1 sprig fresh thyme 2 cups low-sodium chicken broth ⅛ teaspoon sea salt 4 ounces egg noodles 1 teaspoon red wine vinegar Freshly ground black pepper 1. Put the chicken, carrots, celery, garlic, thyme, broth, and salt in the slow cooker and stir to combine. 2. Cover and cook on low for 8 hours. 3. Remove the thyme and discard it. Remove the chicken to a cutting board and shred it with a fork. Discard the bone. 4.
tender, about 10 minutes. Return the shredded chicken to the crock and stir in the vinegar. Season with the black pepper. Dried wild mushrooms add a complex umami flavor to this soup. You can usually find them in the bulk spice section or international food aisle of most markets. Shiitake mushrooms are also a good choice if you cannot find wild mushrooms. 1 ounce dried wild mushrooms 8 ounces cremini mushrooms, washed and quartered 2 cups low-sodium chicken broth 2 tablespoons dry sherry (optional) 1 onion, halved, cut into thin half circles 2 garlic cloves, minced 1 teaspoon fresh thyme ½ teaspoon minced fresh rosemary ⅛ teaspoon sea salt ¼ cup heavy cream 1. Put the wild mushrooms, cremini mushrooms, broth, sherry (if using), onion, garlic, thyme, rosemary, and salt in the slow cooker and stir to combine. 2. Cover and cook on low for 8 hours. 3. Stir in the heavy cream just before serving. This simple recipe is brimming with the flavors of the Mediterranean. I prefer the smaller, sweeter grape tomatoes, but if you cannot find them, use cherry tomatoes instead. Consider serving this dish with Cilantro Rice Pilaf (here) or Mediterranean Couscous (here). 1. Put the tomatoes, garlic, lemon zest, and olive oil in the slow cooker. Gently stir to mix. 2. Place the chicken thighs over the tomato mixture and season them with the thyme, rosemary, salt, and a few grinds of black pepper. Procedures : Place chicken in an ungreased 11in x 7in x 2in baking dish. Top with tomatoes. Bake, uncovered, at 350 degrees for 50 minutes. 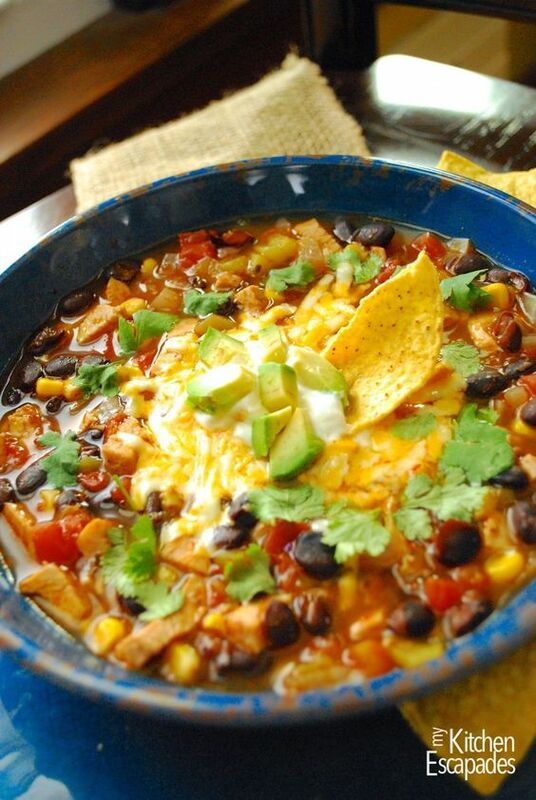 Spoon chili over each chicken breast; bake 10 minutes longer. Top with cheese; return to the oven 3-4 min or until cheese is melted. Yield 4 servings." Procedures : 1. Preheat oven to 350 degrees Fahrenheit (176 degrees Celsius). 2. In a large bowl, use a hand mixer to blend the sugar, cream cheese, and vanilla. 3. Add eggs to cream cheese mixture one at a time and blend after adding each egg. 4. Line 24-cupcake pan with cupcake liners. Fill cupcake liners 3/4 of the way full with cream cheese batter. 5. 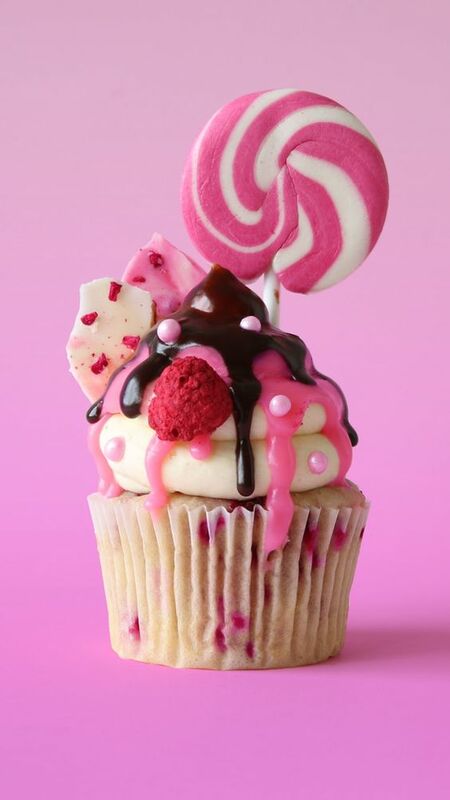 Divide raspberries evenly between the 24 cupcakes and sprinkle on top of each cupcake. 6. Bake for 25 minutes at 350 degrees (176 degrees Celsius). 7. Remove from oven and let stand for 5 minutes. A well will form in the middle of each cupcake. 8. Turn the oven to 450 degrees Fahrenheit (232 degrees Celsius). 9. In a small bowl, blend together topping ingredients. Using a teaspoon, drop topping into the center of each cupcake. 10. Bake for 5 minutes at 450 degrees Fahrenheit (232 degrees Celsius). 11. Remove from oven and cool. Refrigerate for 1 hour. Keep refrigerated"
Procedures : Preheat oven to 350 degrees F. In a large bowl, combine beef, pork, onion, garlic, bell pepper, egg, tomato paste, oregano, basil, and salt. Cut a piece of aluminum foil about 16 inches long. Pat ground meat mixture onto aluminum foil, covering foil (mixture will be about 1/4 to 1/2 inch thick). Place mozzarella on meat mixture to cover. Next, place salami over cheese, also to cover. Roll up ground meat mixture jelly-roll fashion, peeling mixture from foil as it is rolled. Press ends together to seal in filling. 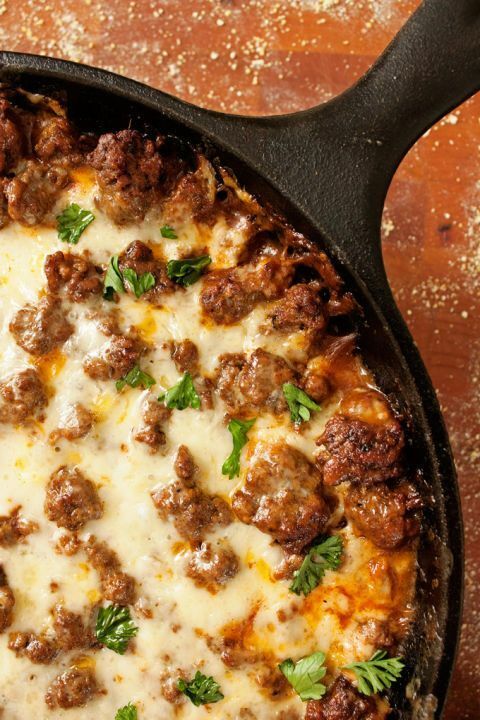 Place ground meat roll on a baking sheet with sides and sprinkle with Parmesan. Bake until browned (35 minutes). Let rest 5 minutes before cutting. To serve, slice about 3/4 inch thick. Accompany with Fresh Tomato Sauc"
Procedures : Preheat oven to 375 degrees F. Line an ungreased 14-inch pizza pan with cookie dough cut in 1/8-inch slices, overlapping slightly. Bake 12 minutes or until light brown; remove from oven and cool on a wire rack. In a medium bowl, combine cream cheese, sugar, and vanilla extract or other flavoring; spread over cookie crust. Arrange fruit over cream cheese layer in any design you want (use your imagination). In a small saucepan over very low heat, make a glaze by heating preserves and water. Brush glaze over fruit, making sure to cover the fruit that will turn dark. Refrigerate until ready to serve"
Procedures : roll/spread crescent rolls out flat in ungreased 13 by 9 pan. 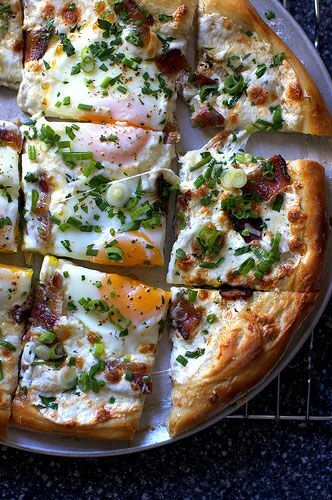 pour beaten eggs over dough. spread fried sausage over eggs. add hashbrown potatoes uncooked over sausage. sprinkle cheese. BAKE 350 FOR 20 MINUTES OR UNTILL CHEESE IS MELTED "
Procedures : Over a medium flame, saut? garlic in oil until golden brown. Add water and to a boil. And the chicken cubes and chicken. Simmer until meat is cooked. Drizzle the egg in a thin stream while the soup continuously. Serve hot." Procedures : 1 SOAK DEL MONTE Macaroni in evaporated milk. 2 ADD remaining ingredients. Blend well. Chill until ready to serve. " 4 Small onions, 0.50gram Butter, 1 cup beef broth,2 cups water, 0.50c Dry white wine, Salt & Cayenne pepper, Slice of French bread, Swisscheese, 2 soup spoons flour. Procedures : Cut onions in 1/2 rings, roast onions in butter, ad flour until slightly roasted, add all liquids, salt & pepper and let simmer for 10 min. pour in soup bowl, top with tosted bread and cheese and bake until cheese is melted. " Procedures : Preheat an outdoor grill for high heat. In a bowl, mix the beef, onion, egg, evaporated milk, Worcestershire sauce, garlic, curry powder, and steak seasoning. Form the mixture into 8 patties. Grill the patties over indirect heat for about 5 minutes on each side, or until done"
Procedures : In a large bowl, mix together the beef, Worcestershire sauce, garlic, onion, salt, pepper and Italian seasoning. Refrigerate for 2 to 4 hours. Preheat grill for high heat. Form burgers into 1/2 inch thick patties. Lightly oil grate. Place burgers on grill. Cook for approximately 6 minutes, turning once"
Procedures : Preheat the grill for medium high heat. 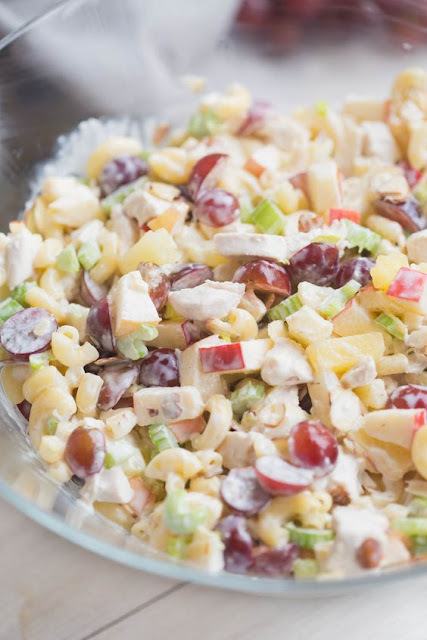 In a large bowl, combine turkey, feta cheese, olives, oregano, and pepper. Mix together, and form into patties. Lightly oil the grate. 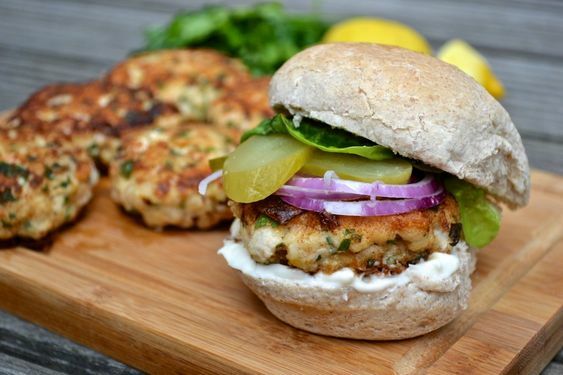 Place patties on the grill. Cook for 10 to 12 minutes, turning halfway through"
Procedures : 1. 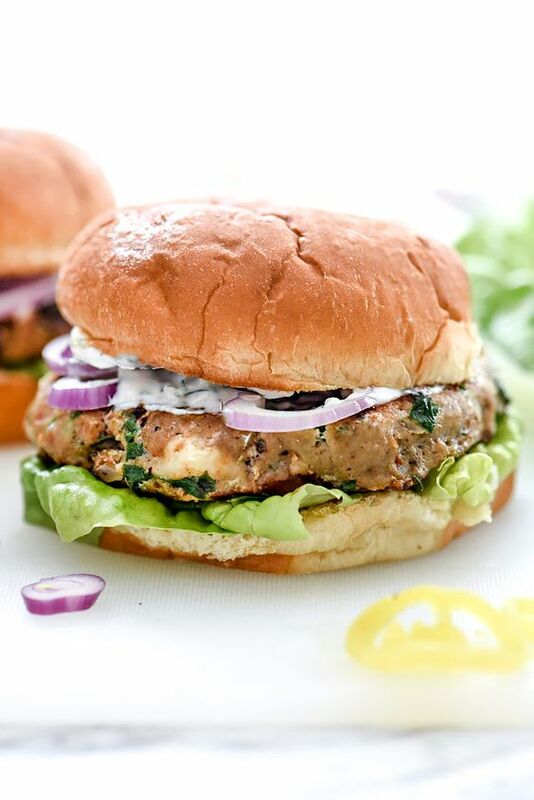 To make the burgers, cook the spinach in a little boiling water for 2 minutes. Drain thoroughly and pat dry with kitchen paper. 2. Heat the oil in a skillet and saute the leek and garlic for 2-3 minutes. Add the remaining ingredients, except the breadcrumbs, and cook for 5-7 minutes until the vegetables have soft. Add the spinach and cook for one minute. 3. Transfer the mixture to a food processor and process for 30 seconds, until almost smooth. Transfer to a bowl, stir in the breadcrumbs, mix well, and leave until cool. Using floured hands, form the mixture into four equal size burgers. Chill for 1 hour. 4. To make the fries, cut the potatoes into thin wedges and cook in boiling water for 10 minutes. Drain and toss in the flour and chili powder. Lay the fries on a cookie sheet and brush with the oil. Cook in a preheated oven 400F, for 30 minutes or until golden. 5. Meanwhile heat 1 tablespoon oil in a skillet and cook the burgers for 8-10 minutes, turning once. 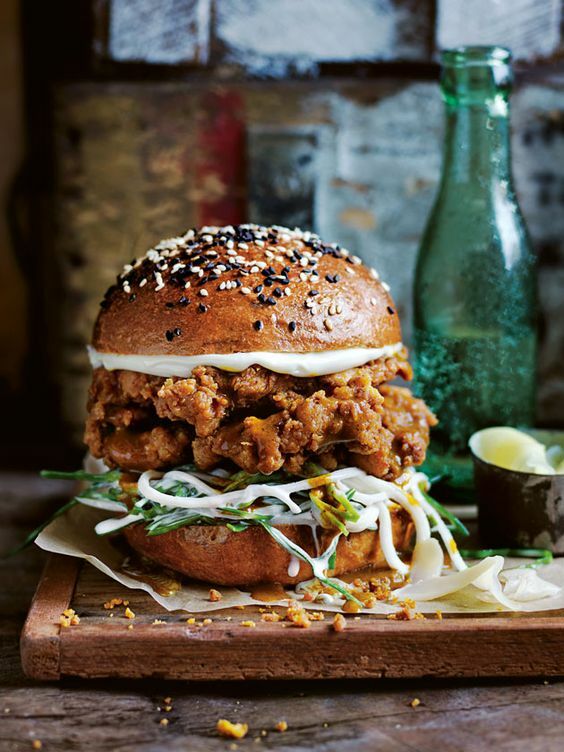 Serve with the salad in a bap with the fries. Serves "
Procedures : 1 COMBINE ingredients for sauce. Set aside. 2 COMBINE ingredients for burger with 3/4 tsp iodized fine salt (or 3/4 tbsp iodized rock salt) and 1/4 tsp pepper. Mix well. Divide into 8 then shape into patties. Brush with sauce. Grill in pan with 3 tbsp oil while basting with sauce until just cooked. Simmer remaining sauce for 1 minute. Pour over burgers. Top with green onions. " Procedures : Mix flour and salt; dredge chicken breasts. In large skillet, brown chicken in olive oil and remove. Combine onion, ham and garlic and saute in same skillet over low heat until onion is soft. 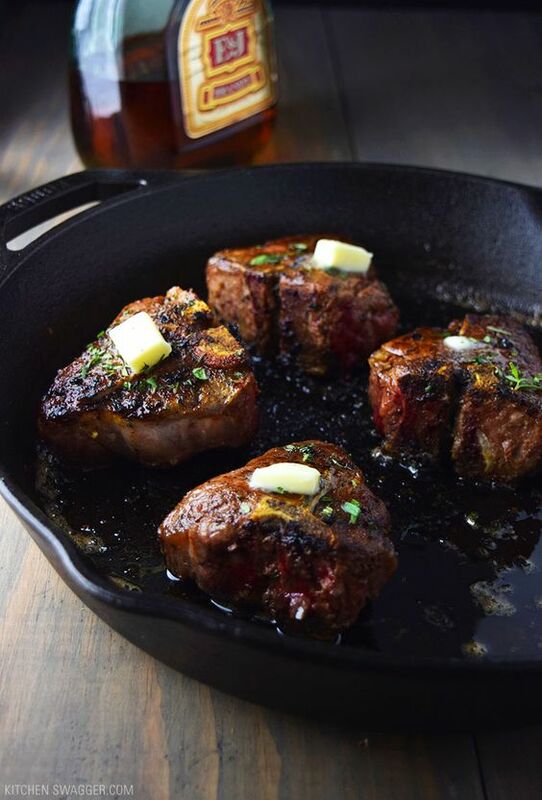 (Don't let garlic stick to skillet.) Remove. Drain all but 1 T of the oil and pour in flour left from dredging chicken; stir a lot to make sure flour is well-blended. Return ham mixture. Clean and devein shrimp. To ham, add beer, shrimp, parsley, paprika and tabasco; mix well. Add chicken; cover and simmer for 20 minutes. Serve with rice or garlic bread." Procedures : Sprinkle turkey drums with salt and pepper. Place in large crockpot. Combine catsup , molasses, vinegar, Worcestershire sauce, hickory smoked salt and instant minced onion. Pour over turkey. Cover and cook on Low for 7-9 hours"
Procedures : Remove the rind and score with diagonal cross-cuts. Put ham in a close fitting kettle and cover with gingerale. Bring to boil, then simmer for 20 to 30 minutes. This step removes the too salty taste and adds a delicate flavor. Drain the gingerale, add ham to a roasting pan and pour the wine over it. Cover with foil and bake at 350~ for 1 hour. Combine the glaze ingredients. After the ham has baked 1 hour, brush the ham with the glaze, using all of the mixture. Return ham to oven (uncovered) and bake an additional 1-1/2 hours, or until internal temp reaches 140~. Baste occasionally after the glaze has ""set"", about 45 minutes. If the glaze gets too dark before the temp gets to 140 degrees, tent the ham with foil. 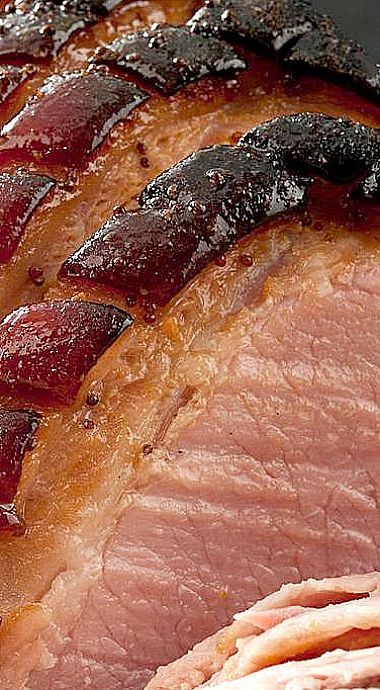 When ham is done, transfer it to a serving plate and loosely cover with foil to keep warm. Skim the fat from the juices, reserving all the juice and caramelized bits from the glaze. Heat this to a boil along with 1 cup of the chicken stock (reserving 1/4 cup), syrup and mustard. Dissolve the cornstarch in 1/4 cup of reserved chicken stock and whisk it into the sauce to thicken. The sauce should be a rich dark color. Strain and pour into a gravy boat. Serve the sauce over the ham. " Procedures : Trim excess fat from ribs. Place ribs and salt in 4-qt. saucepan or Dutch oven. Cover with water, bring to a boil. Cover; simmer 1-1/2 to 2 hours or until tender. Meanwhile, saute onion in oil until tender. Add remaining ingredients; simmer 15 minutes. Drain ribs. Place on rack in broiler pan or over ash-colored coals on outdoor grill so meat is 6 to 7 inches from heat. Broil 10 minutes, turning occasionally. 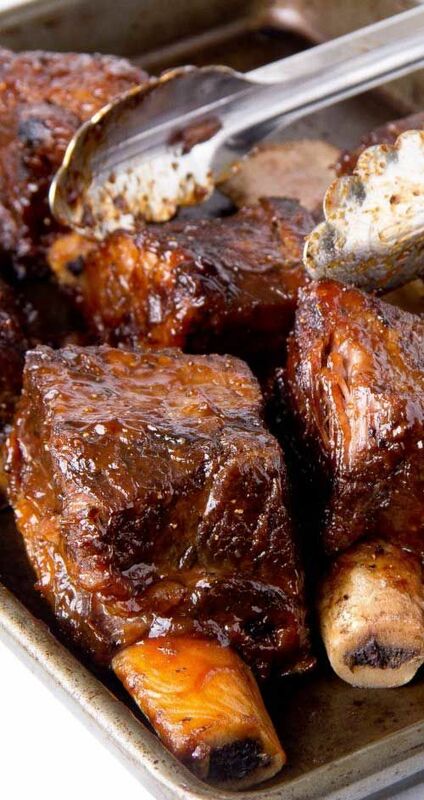 Baste ribs with sauce; continue broiling about 10 minutes, turning and basting frequently with sauce. Serve with remaining sauce, if desired." Procedures : Mix well & form into balls the size of walnuts. Cook over low heat until done but not brown. 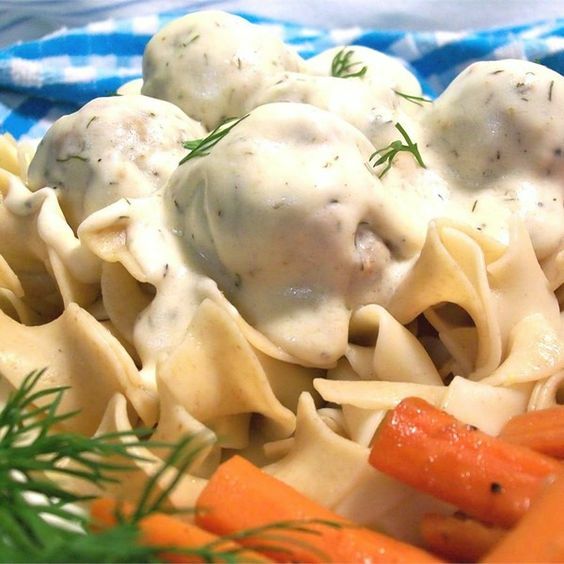 Danish meat ball sauce: Simmer approximately 20 minutes.Pour over meat balls." Procedures : In large skillet, brown the ground beef or turkey with the chopped pepper, onion and mushrooms. Stir in the tomato paste and water and corn. Cook the macaroni and cheese according to package directions, adding milk and margarine if required. Add the macaroni and cheese to the beef mixture. Mix well and serve." Procedures : Defat the chicken wings by cooking them in boiling water for 10 minutes. Drain and set aside to cool. Preheat oven to 375 degrees. Using a large mortar and pestle, grind together the bay leaf bits, caraway seeds, cayenne pepper, coriander, cumin, garlic, mustard, paprika, thyme and salt for about 10 minutes. Add the brandy and lemon or lime juice to the pulverized herbs and stir into a thick paste. With a pastry brush, cover both sides of each wing with the herb paste. When no more remains in the mortar, squeeze the last few drops from the brush. 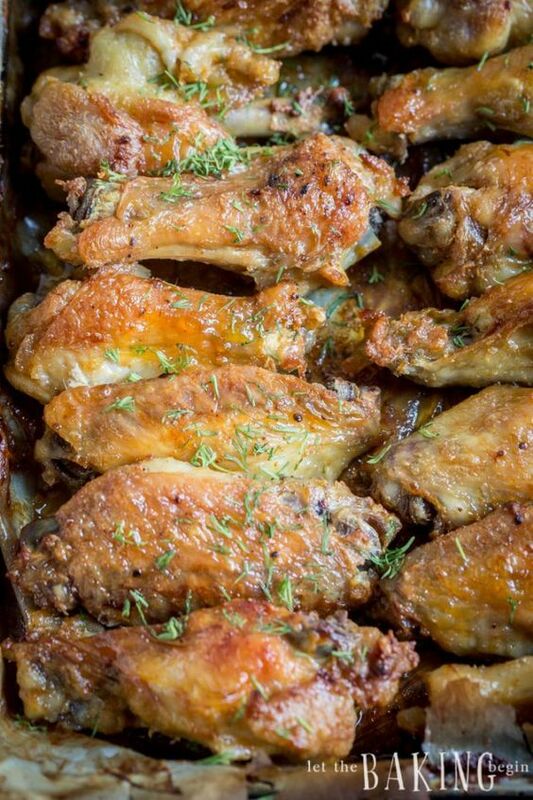 Arrange the chicken wings on a baking sheet. Bake until the skin turns deep brown and is quite crisp approximately 30 minutes. Takes about an hour to prepare." Procedures : Heat coals or gas grill. Place chicken breast halves between 2 pieces of waxed paper. 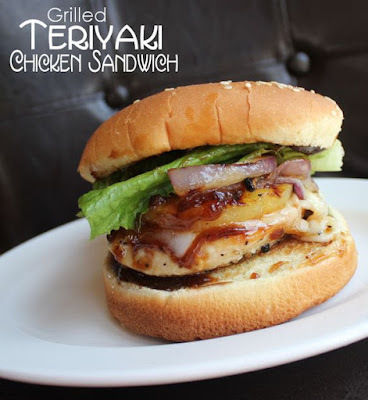 Pound chicken to 1/8-inch thickness. Mix sugar and cinnamon. Coat apple slices with sugar mixture. Divide apple slices among chicken breast halves. Fold chicken around apples; secure with toothpicks. 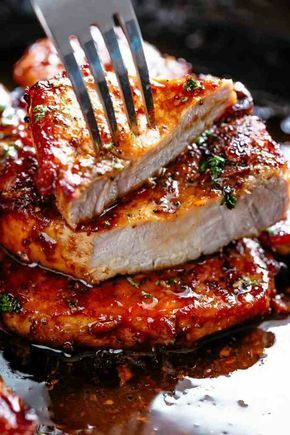 Cover and grill chicken 4 to 6 inches from medium heat 20 to 25 minutes, turning once, until juice is no longer pink when centers of thickest pieces are cut. Remove toothpicks. Mix apple cider and cornstarch in 1-quart saucepan. Cook over medium heat, stirring constantly, until thickened and bubbly. Spoon over chicken." Procedures : Heat oven to 375?. Place squash in ungreased rectangular baking dish, 13 ? 9 ? 2 inches. Heat 1 tablespoon of the margarine in 10-inch skillet over medium heat until melted. Cook pork, turning once, until brown. Place pork on top of squash; sprinkle with oregano, salt and pepper. 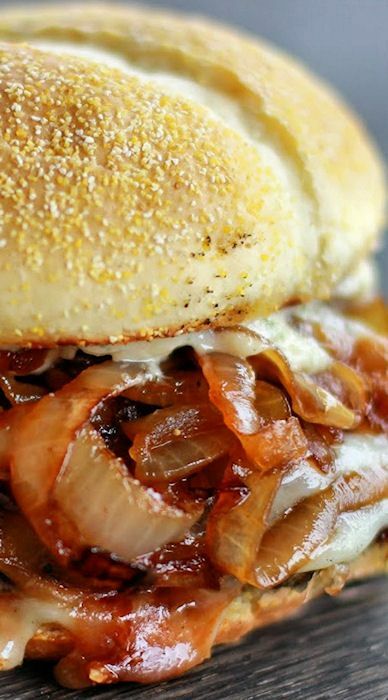 Place onion on pork; top with apple. Mix honey and water; pour over apples. Dot with remaining 1 tablespoon margarine. Cover and bake 50 to 60 minutes or until pork is no longer pink in center and squash is tender. 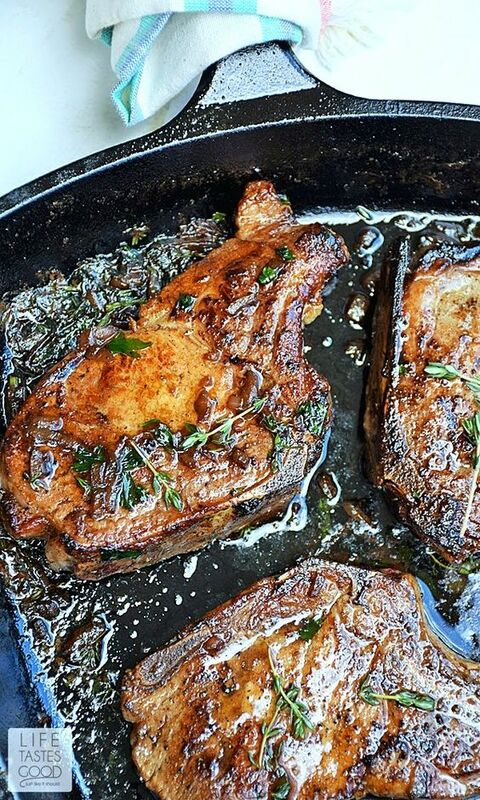 Serve pan drippings with pork if desired." Chicken and Tortellini Salad Recipe. Procedures : Cook tortellini as directed on package; drain. Rinse with cold water; drain. Mix tortellini and chicken in large bowl. Shake wine, oil, lemon juice, tarragon, sugar, salt and pepper in tightly covered container. Stir into tortellini mixture. Cover and refrigerate at least 2 hours. 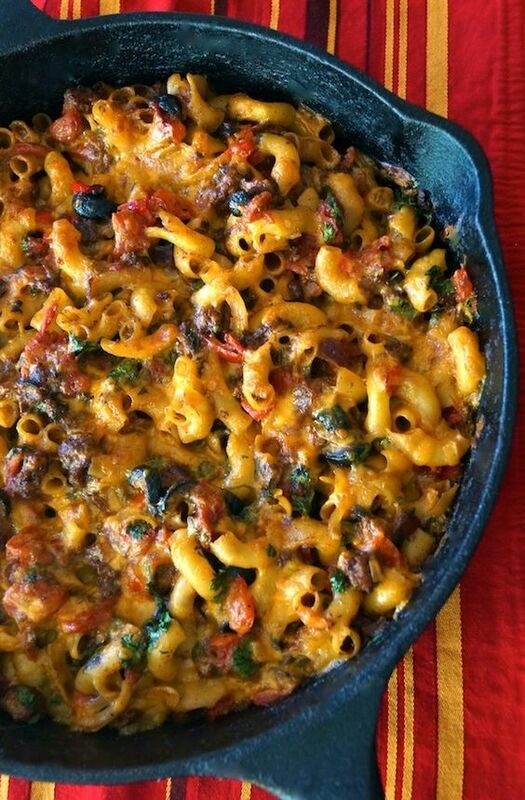 Toss tortellini mixture with salad greens and bell pepper just before serving." 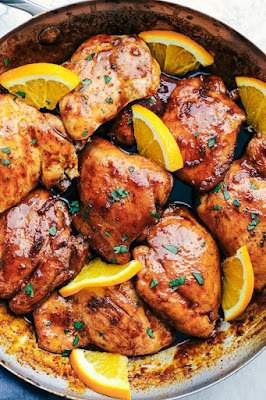 Chicken with Orange Glaze Recipe. Procedures : Heat oven to 375?. Fold wings of chicken across back with tips touching. Tie or skewer drumsticks to tail. Place chicken, breast side up, on rack in shallow roasting pan. Insert meat thermometer so tip is in thickest part of inside thigh muscle and does not touch bone. Roast uncovered 1 hour 15 minutes. Mix remaining ingredients; reserve half of the orange mixture. Brush some of remaining orange mixture on chicken. Roast uncovered about 15 minutes longer, brushing once or twice with remaining orange mixture, until thermometer reads 180? and juice of chicken is no longer pink when center of thigh is cut. Serve chicken with reserved orange juice mixture." Chicken with Peppers and Artichoke. Procedures : Drain marinade from artichoke hearts; reserve marinade. Mix marinade and wine in shallow nonmetal dish or heavy-duty resealable plastic bag. Add chicken and peppers, turning to coat with marinade. Cover dish or seal bag and refrigerate at least 8 hours but no longer than 24 hours. Brush grill rack with vegetable oil. Heat coals or gas grill for direct heat. Remove chicken and peppers from marinade; reserve marinade. Cover and grill chicken 4 to 6 inches from medium heat 5 minutes. 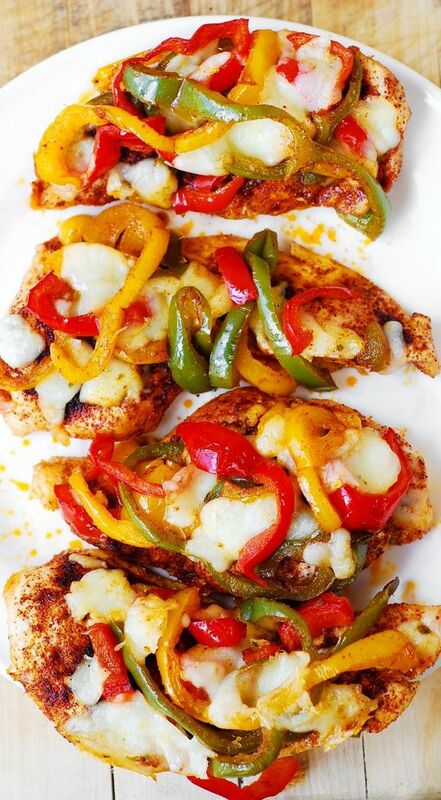 Turn chicken; add peppers to grill. Cover and grill 10 to 15 minutes longer or until peppers are tender and juice of chicken is no longer pink when centers of thickest pieces are cut. Strain marinade. Mix marinade, artichoke hearts, green onions and pepper. Heat to boiling; boil and stir 1 minute. Serve artichoke sauce with chicken and peppers."